Snowing outside, but bursting with flowers inside! We have added some new video lessons throughout our websites. 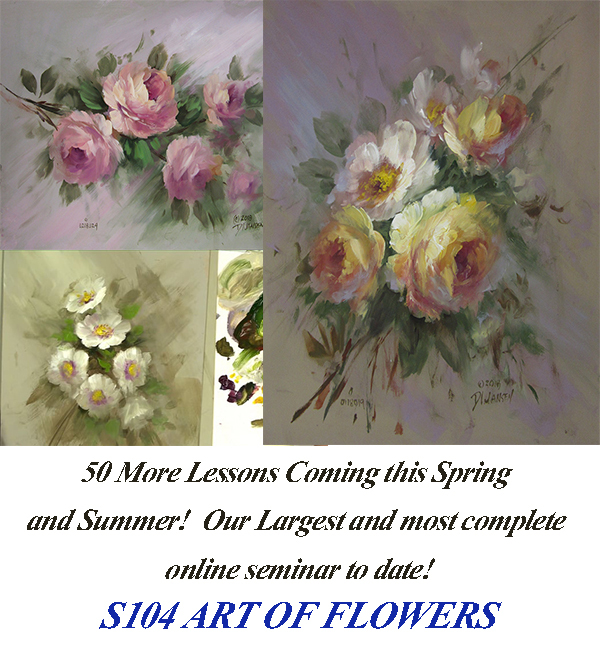 2 new lessons in our S104 Art of Flowers were added this week, 24 new videos added to our Art Videos Direct as well as a new full lesson download add to Art Videos Direct and our online store for those who are not subscribers. 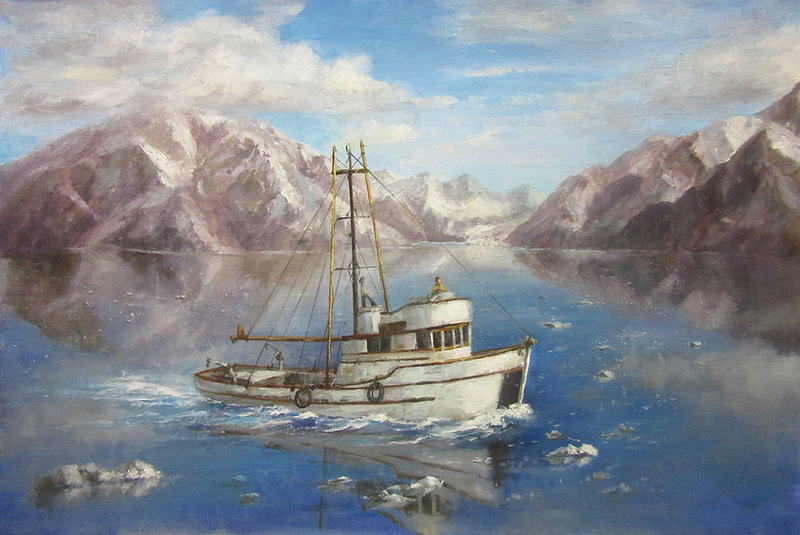 Time to open the palettes, grab the brushes and have an enjoyable afternoon of painting! 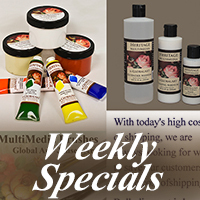 ON SPECIAL FOR 3 DAYS ONLY! Art Videos Direct Subscribers receive this video presentation and PDF lesson for FREE! Log into your account and download any time this month! Log in and see menu on the left to download for free now! S104 Art of Flowers NEW LESSONS! 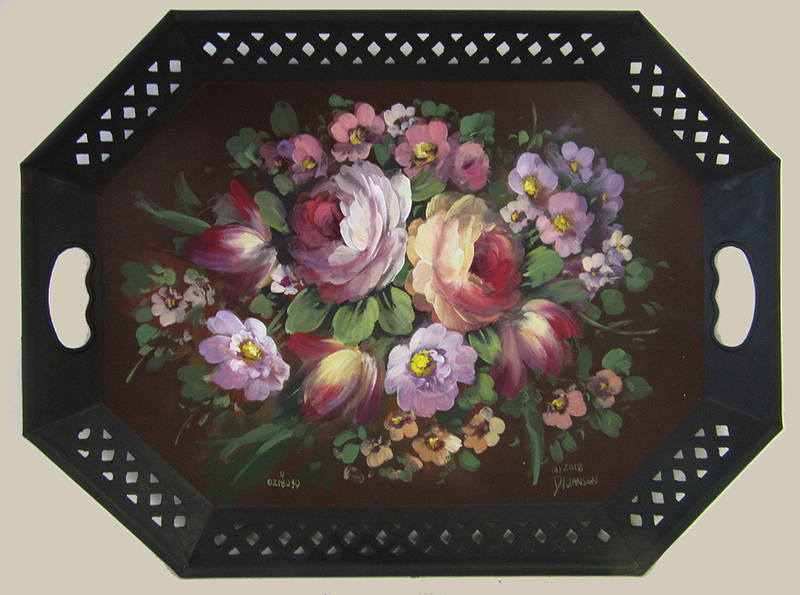 Coming to Jansen Art Online Next Week! Join us for the special unlimited class. Class features 8 hours video lessons, pattern, and many video extras. Unlimited streaming or HD download if desired. Learn David's new mountain technique and so much more! Unlimited access, no time limits!! !